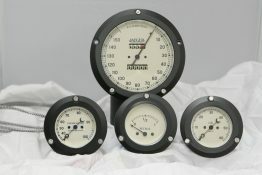 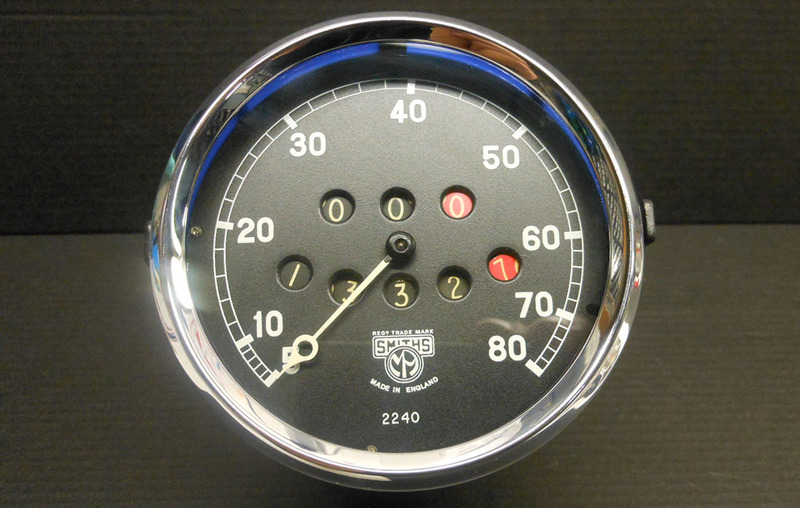 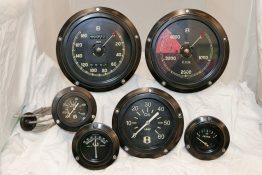 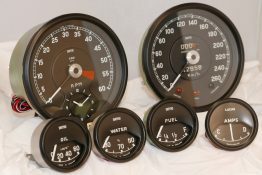 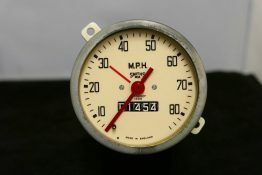 The Governor Type Speedometer is driven mechanically and was fitted to various vehicles between the 1920’s to the 1950s. 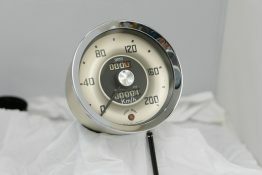 Smiths Governor Type Speedometer completely stripped, cleaned and restored. 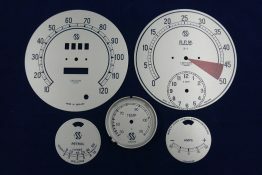 Dial has been reprinted with a new set of counter wheels. 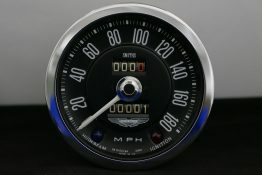 Chrome bezel replaced. 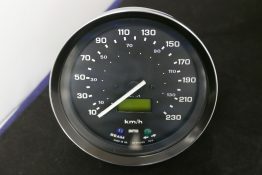 Case sandblasted and repainted.